Get your online church bulletin for as low as $69/month. No contracts. No app needed. Church bulletins are dead…long live the church bulletin. It’s easy to add to your online church bulletin for as low as $69/mo. 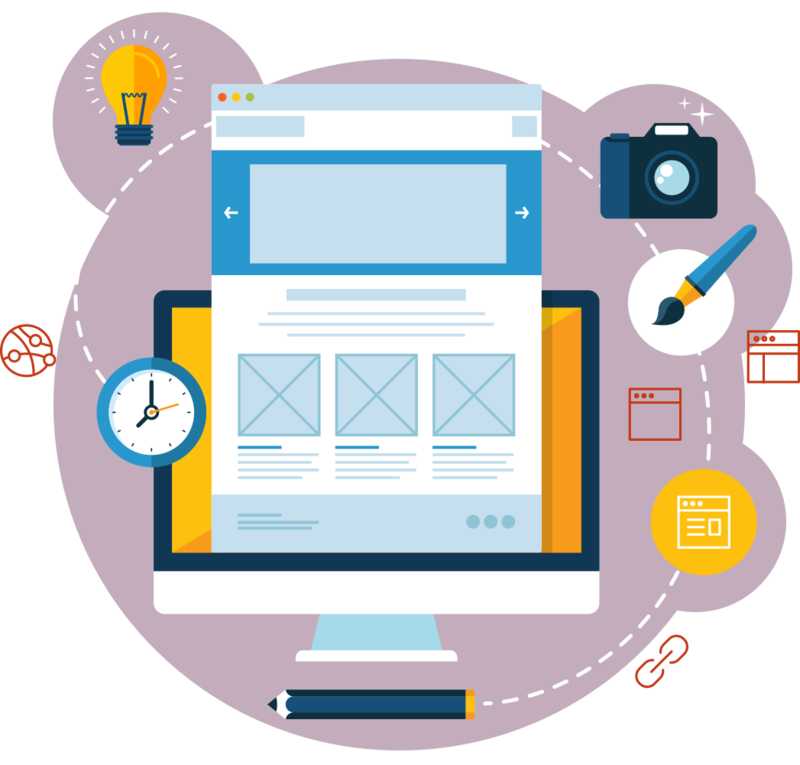 Our approach allows for a unique way of managing your online church bulletins and it’s associated content. 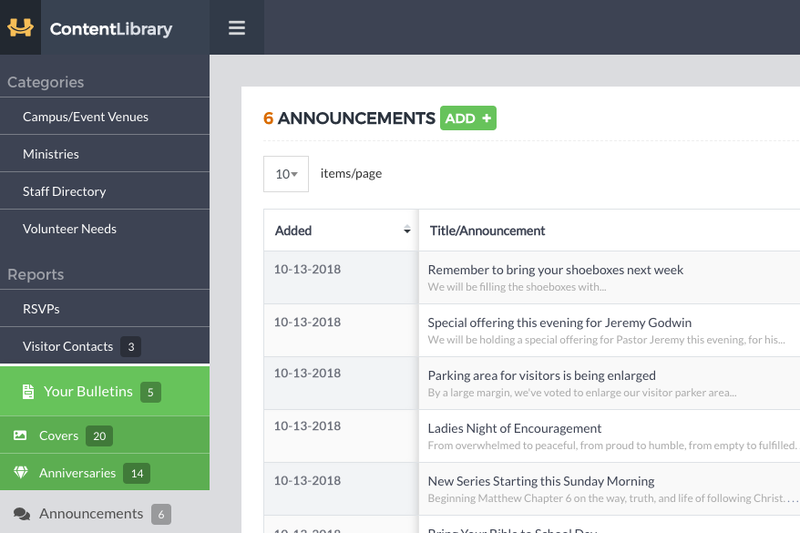 You build up your content library (church announcements, events, prayer requests, etc.) as needed, which are the strands that connect your church or parish. You then add what you need for each weeks bulletin. Ready to Sign up? Let's GoAs low as $69/month. No contracts. No app needed. 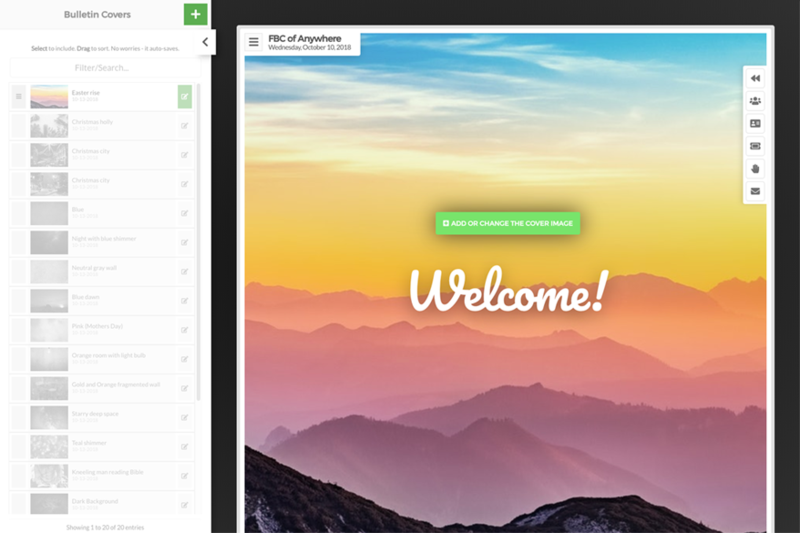 Our custom dashboard gives you access to all your content, allowing you to add/edit as needed. This approach is perfect for a staff church communication director, parish admin, church media coordinator, or other staff member/volunteer to manage. You’ll also have records from Event RSVPs, volunteer, visitors, and bulletin contacts…all at your fingertips. You can also other users if you would like to delegate duties to your staff or volunteers. Want to put it on your website. It’s a snap. Bulletin creation can be a real chore, and we hope our process eases that a bit. 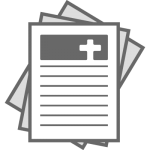 Church staff members or volunteers can smoothly and easily create a beautiful bulletin, simply using the content in your library. Sort as needed and even turn off sections you don’t not need for a specific bulletin. It’s never been easier. Stop staring at the stacks of wasted bulletins each Sunday or kicking yourself for printing the misspelled name of your guest speaker. The whole point of our Happy Bulletins is to save you time, money, and frustration. Ah…the reliable old printed bulletin. Not quite as easy to leverage as it used to be, though. Printing stacks of bulletins that are passed out, then flipped through and either tossed aside or used as a doodle canvas. The leftovers, sadly collecting dust in a lonely closet near the back of the media room. Money doesn’t grow on trees. If it did, there would be a lot more farmers. We’re called to be aware of how we spend resources, be it time or money. You can even make multiple ones (Wed and Sunday) or even special ones for special events. Encouraging your congregation to use your online church bulletins, means you end up printing less paper bulletins (save on costs) and fostering a more interactive experience with those who use it. Just think…no more sinking feeling in your stomach when budget time rolls around. We developed, and continue to enhance, Happy Bulletin, as an invaluable tool for churches and ministries to use as an outreach and in-reach communications resource. If you have a question or comment on how our online church bulletins might help in your church family, please let us know. This is the reason we exist – to equip churches and ministries. Wanna be an Early Adopter? Our bulletins are made to be beautiful on ANY device…without needing to download an app.